The RTB Northeast AL Chapter is convenient to Anniston, Gadsden, and Jacksonville. Roughly two hours west of Atlanta and an hour north of Birmingham, this area of Alabama offers a diverse commercial make-up. Though in the heart of the Bible Belt, northeast Alabama has many unchurched residents in addition to those who profess Christianity but can't articulate the reason for the hope they have (1 Peter 3:15). The RTB Northeast ALChapter hopes to influence both groups by spreading the message that the Christian faith is based on evidence, particularly that from scientific reasoning. 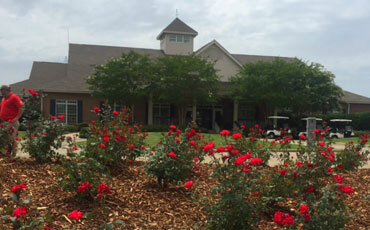 Chapter meetings are held every third Saturday, 9–11 AM, at the Robert Trent Jones Golf Trail at Silver Lakes Clubhouse. We welcome members and non-members alike for Christian fellowship, food, and interesting reasons we believe the Bible is authored by the Creator of the universe. We look forward to your visit!